Josh Waller's Camino premiered last September in front of a packed theatre -- or actually, three of them simultaneously at Fantastic Fest in Austin, Texas. 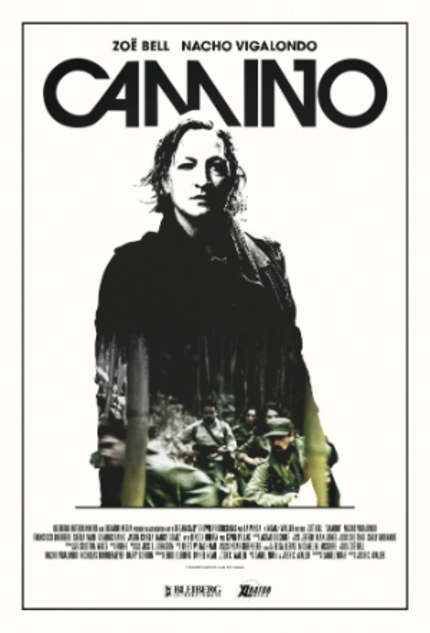 Starring Zoe Bell, Nacho Vigalondo, and Francisco Barriero, Camino posits Bell as an award-winning photojournalist who gets pulled into a job in Colombia photographing freedom fighters. To put it lightly, problems arise when she captures something on film she's not supposed to see, and then she must fight for her life as she's pursued throughout the jungle. Of course, the action and the stunts are damn good, as stunts are Bell's forte. While one can see how the story will eventually develop, this doesn't take away from the joy of watching Bell kick asses, particularly in the case of a few certain scumbags. Originally published during Fantastic Fest in September 2015. The film will open in select theaters in the U.S. on Friday, March 4.